Why bother with other repairers when Phone Ninja is here? Smashed Screen? Cracked Glass? Broken LCD? While our specialty is screen-based repairs, we offer many iPad Mini 3 repairs, all backed by the promise of our price-beat guarantee, find a cheaper price in Perth and we will beat it. Our experience is also without equal, having repaired over 18,000 devices since 2009 across our stores in Perth. On top of our irresistible prices & friendly services, we offer a 3-month warranty on all our repairs and services. Worried that you’ll lose all your phone numbers, photos & apps? Don’t worry we won’t wipe your device like other repairers. 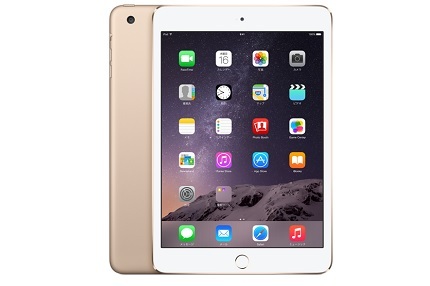 So are you in the market for a iPad Mini 3 touch screen repair? Want your iPad Mini 3 back like new? Then visit any of our stores across Perth or contact us today! *All Repair prices include a new touch screen as they break when removed. *Please note that due to nature of repair, Touch ID could stop functioning after repair. While it’s common knowledge that Ninjas are highly trained in ninjutsu; iPad Mini 3 repairs are still highly regarded amongst our kind. In fact, the ancient art has been handed down from father to son back in the days of the stone tablet. This means our iPad 3 Mini repairs have been honed down over hundreds of years and whether you are in the market for a screen replacement or a charger port; your friendly Ninjas have what it takes.